May 28, 2016. The Florida Wedding Images shot at Quail Creek Plantation in Okeechobee, Florida. 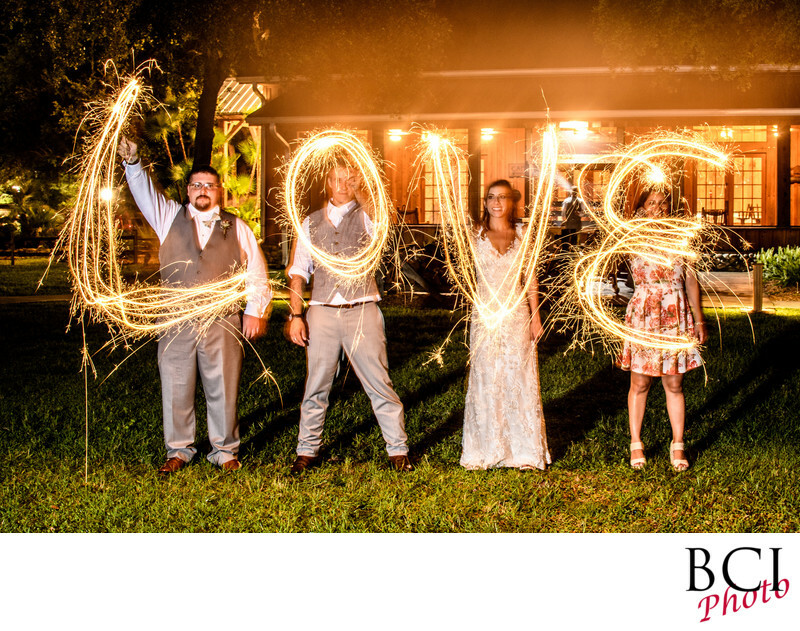 Featured here is a sparkler wedding exit, and writing with sparklers. With Sparkler wedding reception exits all the rage in the USA, we turn it up a notch by doing some fun light painting, using sparklers, or really any light source. We even paint using our iphone, LED lights or whatever we have at the end of the evening.